Engineering wise we are still working on frame stretchers and various brackets, not the most exciting aspect of building the new loco from the observer's point of view but essential work nonetheless. Fabrication work on the two stretchers which support the pivot centres for the pony trucks has been completed and they will be sent to an engineering company for machining. We are awaiting some quotations for the machining of the hornblocks and horn guides before proceeding with the casting of these items. Hopefully by contracting out some of these machining jobs progress will be a little quicker than by undertaking too much ourselves. At Bridgnorth we have been working on corner brackets for the buffer beam channels and bunker support brackets whilst machining of two flexible stay brackets is underway. 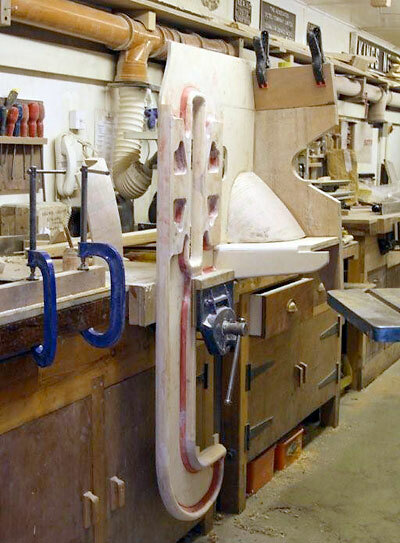 The two radial arm stretchers are now machined to size and drilled but there is further work to do on the radial arm supports, fitted bolts and boring out to the finished size for the king pins. Patterns have been made for spring brackets and brake hanger brackets with the current work featuring the two motion brackets. 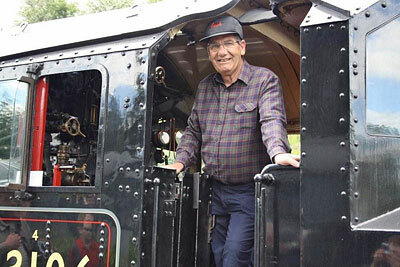 Our raffle winner this year was Mr Jack Snead who took his prize of a ride on the footplate on Friday, 28th May. Tony and Chris were on footplate duty that day and were delighted to be on board 43106 which is a favourite with them. Jack and his wife Jenny who also rode on the train in the comfort of a carriage, thoroughly enjoyed their day: the smile on Jack`s face says it all and even the weather was lovely. Congratulations to all our winners, who were listed in the May update, and many thanks to all our supporters for contributing to the success of the raffle. 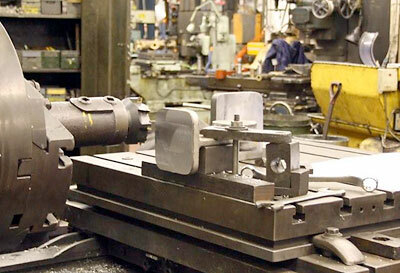 Two photos show a flexible stay bracket being machined on the horizontal boring machine. 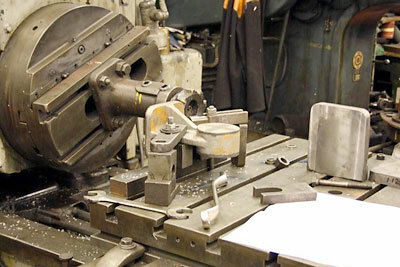 The partially completed pattern for one of the motion brackets. Raffle winner Jack Snead on board 43106.